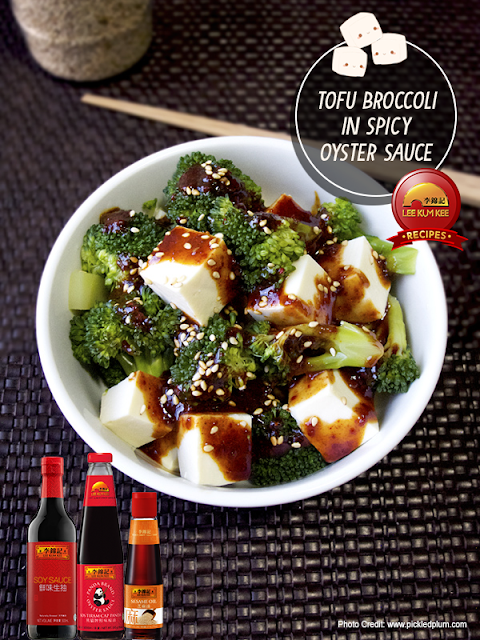 A quick and healthy chilled tofu and broccoli recipe served with a spicy oyster sauce. This recipe is low in fat and calories and ideal for vegetarian. A new and refreshing alternative to the regular salad! 1. Mix all the sauce ingredients together in a bowl and set aside. 2. Bring a pot of water with a little salt to boil. Add broccoli and cook for 3 minutes or until broccoli is tender. Drain and rinse in cold water. Set aside. 3. Arrange the broccoli and tofu in a bowl and pour the sauce over. Sprinkle with sesame seeds. Serve chilled.